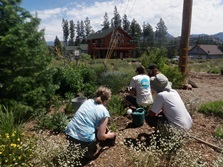 What is the Landscape Conservation Program? Landscape Conservation combines landscape management practices with actions that preserve and protect our natural resources. Choosing these management practices will enhance the look and functionality of your property while not creating a burden on our environment. Landscapes that integrate these practices are typically more cost efficient and require less maintenance and long term external inputs. 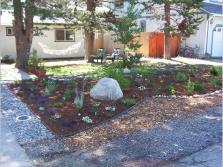 Implement Landscape Conservation practices to help protect Lake Tahoe in your own backyard. 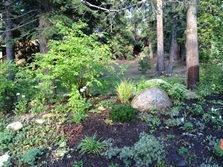 Please see our online resources page for a variety of tip sheets and materials to help you implement landscape conservation practices on your property.